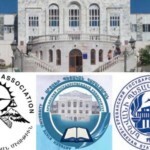 The Armenian Bar Association in conjunction with Yerevan State University (YSU) and Artsakh State University (ArSU), teamed together to open the first of its kind, pro-bono legal clinic in Stepanagert in the Artsakh Republic. The establishment of the clinic came about through a memorandum of understanding developed by two-term Armenian Bar Chairman, Garo Ghazarian, Artsakh Human Rights Defender, Ombudsman, and Armenian Bar Association member, Ruben Melikyan, and representatives of YSU and ArSU, during Mr. Ghazarian’s recent trip to Artsakh in July of 2017. “This pro-bono legal clinic brings much needed legal services to an underserved segment of Artsakh society. We are thrilled that the Armenian Bar Association is a partner in this unique endeavor which seeks to better the lives of Artsakh citizens by promoting access to justice,” said Mr. Ghazarian in an interview following the grand opening of the event. The clinic will primarily assist participants with legal questions in the field of administrative law, providing citizens with information to navigate through government, such as licensing, permits and regulatory compliance. At its Mid-Year meeting in Washington, D.C., the Armenian Bar Association, upon the motion of Mr. Ghazarian, unanimously decided to approve both the provision of technical expertise as well as provide the monetary funds necessary for the legal office to run efficiently. At the ceremony celebrating the grand opening of the clinic, Mr. Melikyan emphasized that, “This pro-bono clinic brings a constructive benefit to the citizens of Artsakh as well as providing an environment where Armenian law students and young lawyers can provide a vital public service to the community.” The Armenian Bar Association will also be funding a six week internship program for Armenian law students from the United States to serve at the clinic in Artsakh. “The pro-bono Legal Clinic and the Internship Program will be a win-win for all those involved, the citizen-participants, the law students and lawyers,” stated Lucy Varpetian, the Bar Association’s Chair of Student Affairs Committee. “We are grateful for the opportunity to continue to be of service to our brothers and sisters in the Republic of Artsakh,” stated Saro Kerkonian, Chairman of the Armenian Bar Association. “The Armenian Bar Association will continue to strive to take every necessary step to defend the right of self-determination of the Armenians of Artsakh fulfilling the promise of a free and independent Armenian Nation. 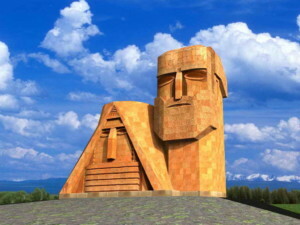 Building a stronger Artsakh is a critical step towards realizing that sacred promise. It is our duty to our forefathers and to future generations of Armenians,” concluded Armen Hovannisian, founding member and three-term Chairman of the Armenian Bar Association. Please check this website for more information about the future clinics. For volunteer opportunities, please contact the Armenian Bar Association at Info@ArmenianBar.org.